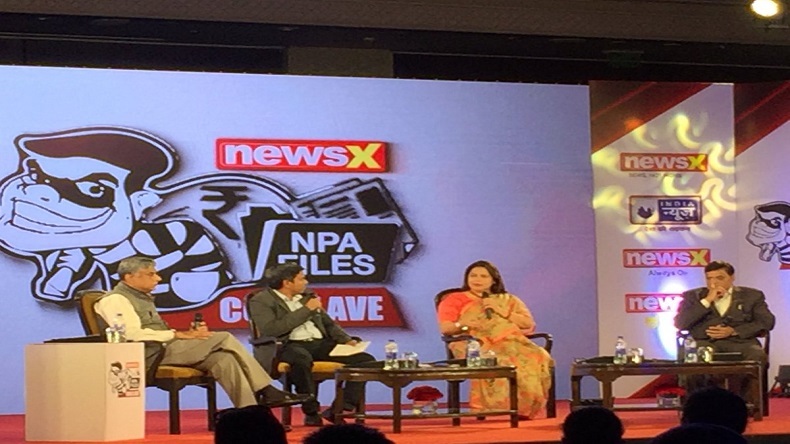 BJP national spokesperson and Member of Parliament Meenakshi Lekhi, Congress MP Rajeev Gowda and former Enforcement Directorate official Shamsuddin on Tuesday spoke at the NewsX NPA Conclave and discussed the reason behind the rising number of non-performing assets in the country. Speaking at NewsX NPA Conclave on Tuesday, BJP national spokesperson and Member of Parliament Meenakshi Lekhi and Rajeev Gowda of the Congress party discussed the reason behind the businesses falling under the non-performing assets. Meenakshi Lekhi while hitting out at the UPA regime said that under UPA I, NPAs increased to multi-fold while under the UPA II, lakhs were turned into crores. She said that under UPA I, private banks were out under stress and during UPA II, nationalised banks were under stress. UPA made sure that companies will get the biggest loans without really giving out any details. Further speaking at the conclave, Meenakshi Lekhi said that it was in 2015 when the Reserve Bank of India started functioning as it should have been. During the UPA era, the banks will give further loans to a bad loan to remove the principal debt. She also added that frauds that came during the BJP’s regime were lent during UPA rule. Kingfisher was a bad airline yet more loans were given to it. There were clear connections between politicians and corporates. “If the government was not fighting these problems, nobody would have fled and would be having good times. Here Rs 2.11 lakh crore has been utilised for recapitalisation of the banks, so were are on the right track. The government is also focusing on restructuring the financial mindset,” Meenakshi Lekhi added. Meanwhile, Congress MP Rajeev Gowda while speaking at the NPA conclave said that UPA focused on making sure the banking system stays clean and healthy. He said their government brought multiple banks and ensured they are able to recover loans. They focused on identifying problems and how to resolve them. Problems may have been caused by frauds or not but we made sure that those were resolved. Sharing his thoughts, the former Enforcement Directorate official, Shamsuddin said that the problem is the accommodation of more and more NPAs. He said, “We have to find solution as there are no laws in the place. As far as the percentage of NPAs is concerned, it is only increasing.